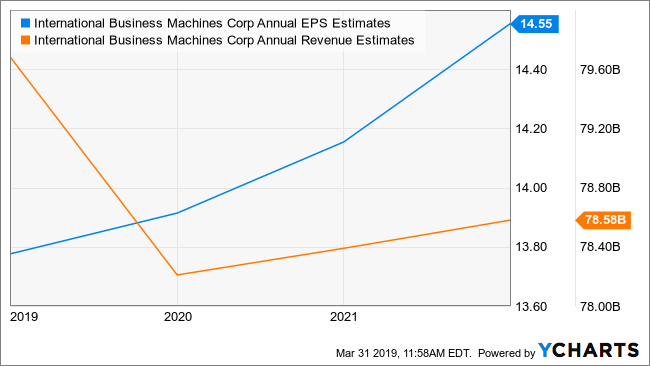 For what seems like years, International Business Machines Corp. (IBM) has seemingly been unable to get its act together, plagued by quarter after quarter of declining revenue. The steep stock market sell-off that started in October 2018 resulted in equity falling to its lowest level since 2010 as institutional investors dumped the stock. The stock fell to the bottom of the barrel on the WhaleWisdom heatmap — to 99 out of 100. 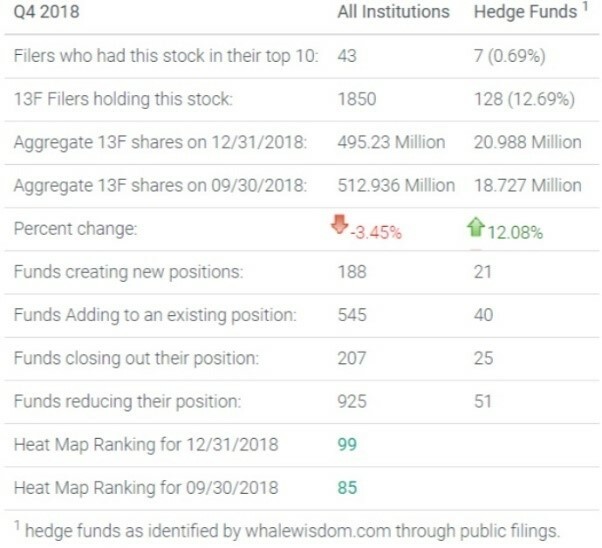 Of the top 150 hedge funds that WhaleWisdom tracks, just 13 held the stock, and of those just one fund had the stock among its top-ten holdings. Only five of the funds increased their stake in the stock, while 9 reduced their holdings. Overall, institutions saw their total 13F shares fall by over 3% to 495.3 million shares. In total, only 188 institutions created new positions, while 545 added to existing ones. The bad news is that 207 institutions liquidated their holdings while 925 reduced them. Investors were surely not sending signs of confidence towards IBM and its future as shares plunged. Analysts do not have much confidence in the company’s ability to deliver either. Analysts see no growth for the company over the next three years, with revenue projected to fall by over 1% to $78.6 billion by the year 2021, down from $79.5 billion in 2018. Even worse, since the beginning of the year, the estimates for 2019 and 2020 have both fallen by roughly 15 basis points. From a valuation perspective, IBM stock seems cheap, trading at roughly nine times 2019 earnings estimates, nearly half that of the S&P 500. However, investors should consider that its earnings are expected to grow at a meager rate of just 5% over the next three years to $14.55 per share in 2021, up from $13.81 in 2018; that is a compound annual growth rate of less than 2%. It makes the current stock valuation anything but cheap. The growth adjusted PEG ratio using the 3-year CAGR gives the stock a sky-high PEG Ratio of over 5. The stock has rebounded from its lows seen in December, rising by 23% in 2019. However, the shares have yet to recover all of its losses and is 9% off its early October highs. For IBM’s stock to keep rising, it is going to have to start posting better results. Otherwise, institutions will likely continue to dump it – stock market recovery or not. This entry was posted on Monday, April 1st, 2019 at 8:36 am and is filed under 13F, HeatMap, Stock. You can follow any responses to this entry through the RSS 2.0 feed. Both comments and pings are currently closed.